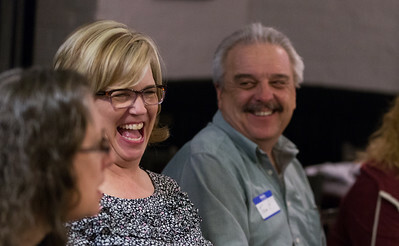 Whitney Rupp for Shaw Media Candidate for the 22nd Judicial Circuit Judge Tiffany Davis is pictured with Tom Poznanski, right, of Lake in the Hills, while waiting for election results at Woodstock Public House Tuesday, March 20. 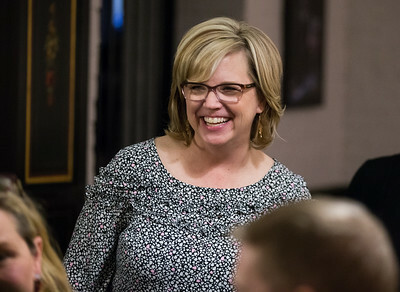 Whitney Rupp for Shaw Media Candidate for the 22nd Judicial Circuit Judge Tiffany Davis visits with supporters at Woodstock Public House while waiting for results to come in Tuesday, March 20. 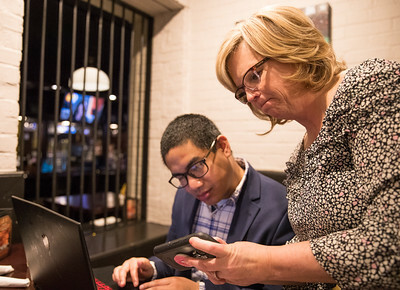 Whitney Rupp for Shaw Media Candidate for the 22nd Judicial Circuit Judge Tiffany Davis looks at polling results with her website designer Abe Levy at Woodstock Public House Tuesday, March 20. 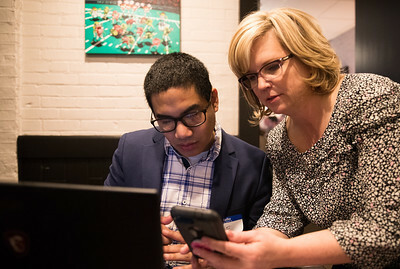 Whitney Rupp for Shaw Media Candidate for the 22nd Judicial Circuit Judge Tiffany Davis checks her phone on election night while campaing website designer Abe Levy searches for results at Woodstock Public House Tuesday, March 20. 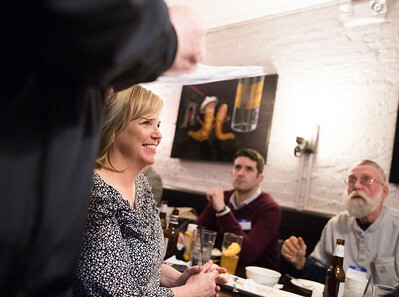 Whitney Rupp for Shaw Media Tiffany Davis listens to results with attorney Scott Jacobson and Charles Tenglin at Woodstock Public House the evening of election night Tuesday, March 20. 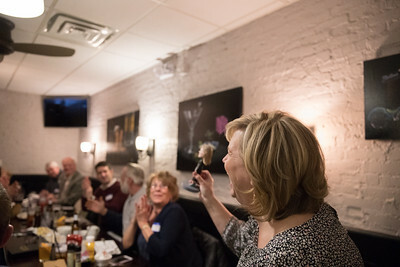 Whitney Rupp for Shaw Media Judicial candidate Tiffany Davis shows off a bobblehead likeness she was given during election night at Woodstock Public House Tuesday, March 20. Whitney Rupp for Shaw Media Joe Gottemoller reviews preliminary election results with judicial candidate Tiffany Davis at Tuesday, March 20. 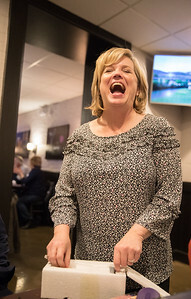 Whitney Rupp for Shaw Media Tiffany Davis opens a gift at Woodstock Public House on election night. 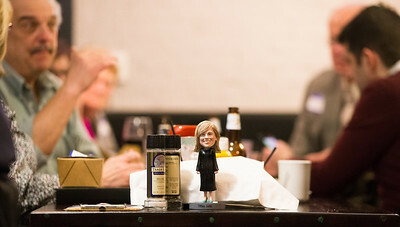 Whitney Rupp for Shaw Media A Tiffany Davis bobblehead sits on a table at Woodstock Public House the evening of election night Tuesday, March 20. 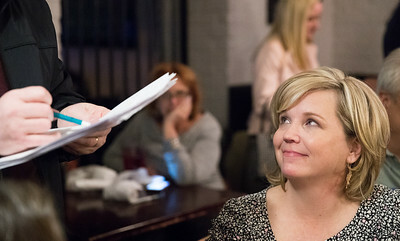 Whitney Rupp for Shaw Media Candidate for the 22nd Judicial Circuit Judge Tiffany Davis listens to preliminary election results from Joe Gottemoller at Woodstock Public House Tuesday, March 20. 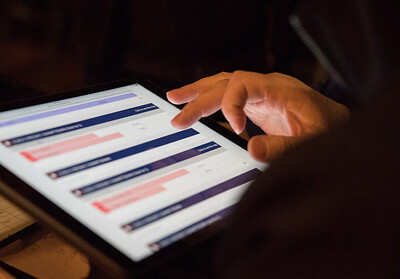 Whitney Rupp for Shaw Media Joe Gottemoller checks election results at Woodstock Public House Tuesday night. 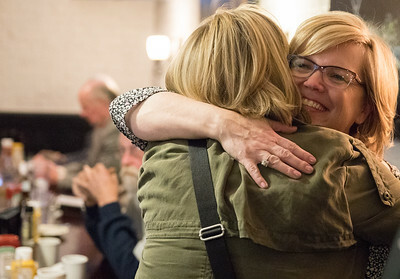 Whitney Rupp for Shaw Media Tiffany Davis is congratulated by neighbor and friend Mary Stewart Tuesday night. 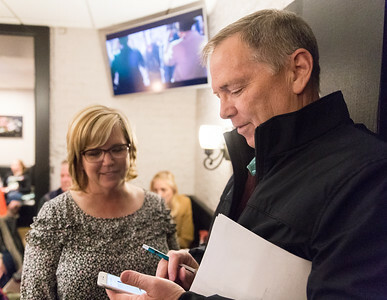 Joe Gottemoller reviews preliminary election results with judicial candidate Tiffany Davis at Tuesday, March 20.